MyBinding uses over 4,000 videos on their site to supercharge online sales of laminating, binding, and presentation products. Interview with Jeff McRitchie, VP of Marketing at MyBinding. How and why did you get started with video? Why Wistia? In 2006, our company really started investing in video marketing. 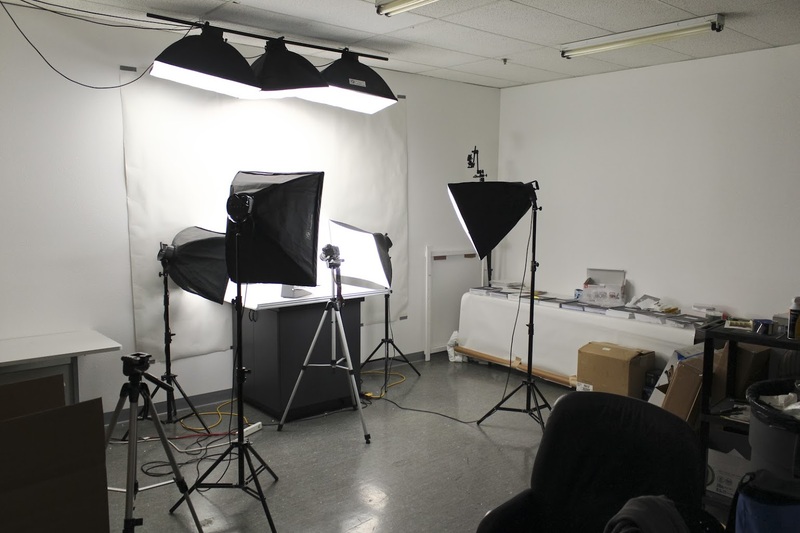 We set up a small studio in the corner of our warehouse. 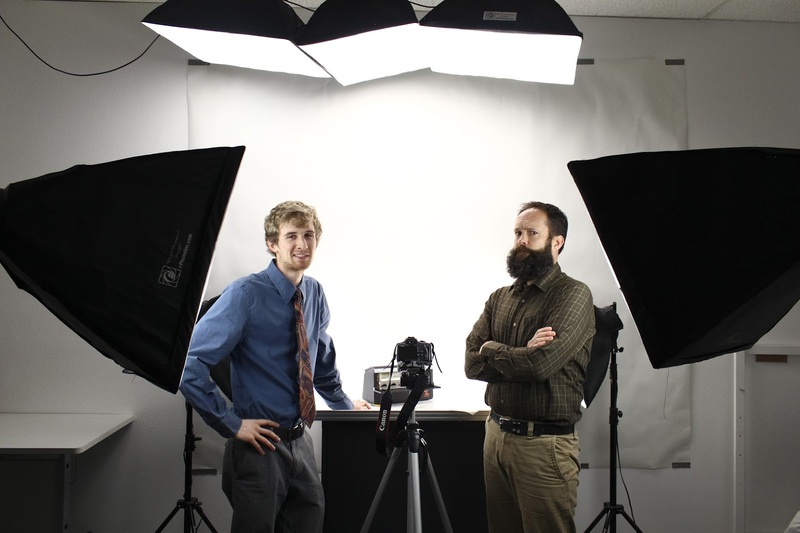 We spent around $1000 on lights, cameras, and equipment, and our budget was $50 per video. We began with the goal of creating 10 helpful product videos per week. In the beginning, we hosted most of our videos on YouTube and embedded them on our site. However, YouTube presented a number of major issues for us. Since we are a B2B company, many of our customer’s corporate networks were blocking YouTube content. We received complaints from our sales teams that the videos on YouTube would display ads promoting competitors videos or products. In 2012, I discovered Wistia at MozCon in Seattle. When I got back, I implemented it across our site and began to see some awesome results — especially with video SEO. What are your video goals? Today we still try to make 7–10 videos per week. Our goal is to make sure that every one of our videos answers the key questions that customers have about that particular product and is truly helpful. Specifically, we are looking to make sure that we show people what the product is, how it is used, and answer why they should buy it. We also have goals around increasing exposure for our videos, increasing the number of video views that we see on a monthly basis, and ensuring that our videos have excellent engagement. Which Wistia feature do you use the most? The ability to easily and programmatically embed videos into our site is probably the most important thing for us. We run a Magento web store, and we have customized it to allow us to embed Wistia videos on our product pages, category pages, and knowledge base pages. We’re currently working on incorporating the videos in our site search results. We have more than 4,000 videos embedded on tens of thousands of pages across our site, and using Wistia embeds allows us to control and maintain these embeds with relative ease. What kinds of results have you seen with video? If a person watches a video on our site, their average order value is almost 30% higher, our e-commerce conversion rate is more than 10% higher, and their per session value is 42% higher than our site average — this is what drives us to continue making as many videos as we can. Last year, we added the Turnstile email collector to the end of our videos, and since implementing it, we have had more than 3,500 additional customers subscribe to our email list. Last year, we produced just over 500 new videos. Our video program had almost a 2 million dollar impact on our gross revenue. We were able to pay for the production of the videos that we made by getting free samples from our vendors that we were able to sell after the videos. Can you tell us more about how you’ve used video for sales? When we first started our video program, we were mostly posting and promoting our videos through YouTube. My goal was to be able to produce enough income through Youtube referral traffic in order for the video program to be ROI positive. It wasn’t until I switched to Wistia that I was able to start tracking video plays and their impact on site visitors and revenue. Once I was able to start tracking views on the site and then look at the conversions associated with those views, my eyes were really opened to the true impact of our on-site videos. Time on site, conversion rate, average order value and per visit value are all substantially higher when someone watches our videos. We currently don’t use revenue as part of our video goals. It is our belief that creating helpful content and getting it in front of as many viewers as possible will ultimately result in higher influenced revenue. Month over month and year over year this proves to be true! What are the biggest challenges of producing video? Initially the biggest challenge was getting buy in for the investment in video. When we first looked at outsourcing video, the cost was going to be between $600-$1000 per video. That was going to be a hard sell for a small-sized niche business. Ultimately, we decided the only way for us to make this work was to make videos inexpensively enough that we didn’t need to justify the ROI of every video. Instead we could prove the value of the initiative using the cumulative results of the program. When we first decided to try and make videos ourselves, we quickly discovered that it was difficult to stand in front of the camera and talk fluidly about binding machines and laminators. This resulted in a ton of takes and a really long and arduous editing process. Ultimately, we changed our process to make it more efficient. Now, we shoot our product demonstrations from multiple angles, without worrying about the audio track. Later, during the editing process, we splice together the multiple angles, wipe the audio, and record a uniform voiceover for the video. This has cut our editing and filming time by more than 60%. What’s next for you in terms of video marketing? We are going to implement a tabbed design so that users who want to see videos can click on the tab and see the related videos. We are also exploring new ways to include videos in our email campaigns. We have integrated videos in a few emails in the past and had great results. Finally, we are working on better integrating our videos into our knowledgebase articles on the site. We just finished a new template for these that includes a custom video embed placement. Over the next year, we are planning on reinforcing our most visited knowledgebase content with helpful videos. Find MyBinding online, on Facebook, and on Twitter. Want to share your success story? Shoot us an email at stories@wistia.com with a little bit about how you use video and Wistia to achieve your business goals.